Motor vehicle accident claims life. 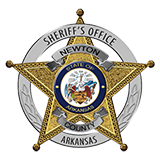 Newton County Sheriff Keith Slape said that a 54 year old Harrison man died Thursday, April 29,2010 at Parthenon in an accident. Slape said that Larry Farmer died when he jumped out of a 1993 GMC C6H truck that belonged to Judy's Insulation. The driver, Larry Battenfield, 37, of Harrison was driving the truck when the brakes failed. Farmer jumped from the truck and was ran over by the vehicle. The driver lost control on County Road 95, also known as the Murray Road, traveled 1312ft were it turned on it's side on State Highway 327. Slape said that the accident is still under investigation and that the Arkansas State Police is assisting in the investigation.